Privacy Fences – Generally five to eight-foot-tall, these fences are designed to keep your backyard or office out of sight of the neighbors while adding a decorative element to your landscaping. Privacy fencing can be made of solid wood panels, lattice work, narrow slats or a combination of these elements. Commonly used fencing woods include cedar, redwood and treated lumber. Decorative Fences – Decorative fences are designed specifically to add a little pizzazz to your landscaping. These can be single panels to accent an island garden bed, open slat fences to define an outdoor, entertainment space or open fencing to add security and warmth to your backyard deck. Franklin Fence and Deck is greater Nashville’s oldest and most experienced fencing company. We can execute your fence design ideas or offer ones of our own. We are happy to tackle the smallest or largest fencing projects as well as any in between. A quality fence should last at least a decade. We’ll create a fence for you that you’ll be proud of for years and years to come. 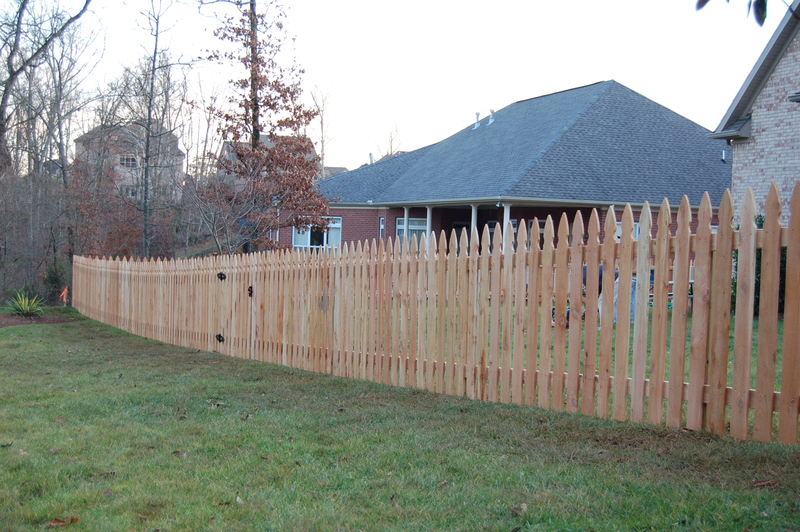 If you’re ready to add a custom wood fence to your property, one that’s different from the neighbors’ fences, one that adds depth and warmth to your yard, give us a call at 615 790-8428. Our mission is to treat our customers as we’d like to be treated ourselves. We’ve been serving homeowners in the greater Nashville area for 28 years and are proud of our 1000s of satisfied customers. Let us show you how we can transform the outside of your home or office with a custom wood fence. We look forward to working with you.